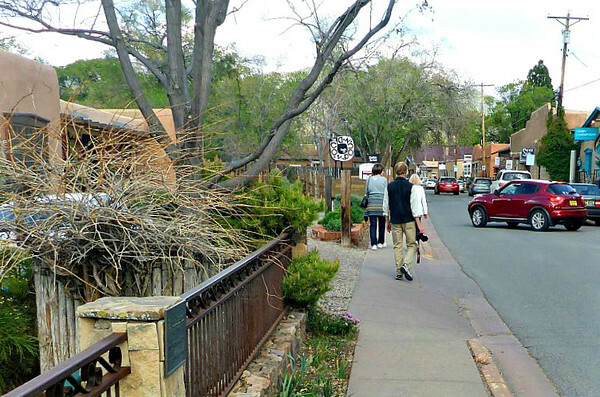 The first week in May 2015 we traveled to Santa Fe, NM and met up with our very good friends Rob and LuJean. We stayed at the Hilton Buffalo Thunder Hotel and Casino and enjoyed the stay immensely. Part of the trip was devoted to the city while another part was spent exploring a nearby monument. The Bandelier National Monument is an archeological area that preserves the remains of ancient dwellings of the Pueblo people who came to the region over 10,000 years ago. The area has only three miles of public roads but 70 miles of trails. There are artifacts throughout the area and the trails allow the visitor to explore the park. The terrain is rugged with steep canyons and the average elevation is 7,000 feet. On the way home, JoAnn and I stopped over at Palo Duro State Park in Texas. We had a very good time on this trip with lots to see and do. Our exploration of the galleries is now over, and we're on our way back to the car.